Having a friend or loved one pass away is never an easy thing to deal with. When a person dies it is hard on all of the people that knew that person. But, what you didn’t know is that the loss is hard on physicians and doctors as well. 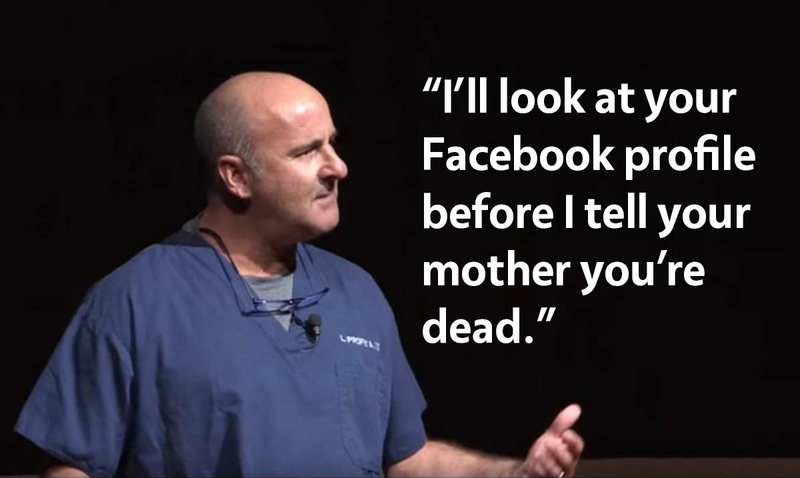 Louis M. Profeta MD, an emergency physician at St. Vincent Emergency Physicians in Indianapolis recently took to LinkedIn to share the reason he looks at a patient’s Facebook page before telling their parents they have passed. The title alone, “I’ll Look at Your Facebook Profile Before I Tell Your Mother You’re Dead,” has attracted thousands. Why does he check your profile?